Welcome to Wattie’s Cans for Good - an exciting national can ‘collection, education, creations and donation’ event being run in for two weeks from 5th August by The Salvation Army in partnership with Wattie’s for New Zealand schools. Find out how you can register your school below! Welcome to Wattie’s Cans for Good! We’re back again for another year of our exciting national can ‘collection, creation, education and donation’ campaign run by The Salvation Army in partnership with Wattie’s for New Zealand schools. Thanks to the incredible efforts of the 249 schools and kindergartens who participated in 2018, more than 95,000 cans were donated to Salvation Army foodbanks – restocking shelves in the high demand period leading up to Christmas. Since Cans for Good began in 1994, nearly 1.5 million cans have been donated and this year through the support of New Zealand schools participating we hope to collect 110,000 cans taking us to a total of 1.6 million cans. With Wattie’s kick starting with 25,000 cans, this will make an incredible boost to local Salvation Army food banks at a critical time of year. This year, Cans for Good has been scheduled for the fortnight of 5th to 16th August 2019 – so save the date on your school calendar now! Wattie’s Cans for Good goes beyond other can fundraisers, by combining the charitable collection activity with a creative competition and a set of teacher resources which are designed to engage children and teachers, in a fun, team-based giving and learning experience. The campaign has four components as shown below. Schools can participate in all or some of these activities depending on their interest and available resources. If you would just like to collect and donate cans that is fine but we hope we will once again see some of your awesome creative efforts. This year we’ve got a brand new competition sure to get young, creative minds moving. As well as constructing a large can based creation, students are invited to show or tell us how they think Wattie’s Spaghetti is made! Details on how to enter the creative competition are below. We have more awesome prizes to recognise our most creative entries so check out last year’s winners and start brainstorming! All participating schools receive a special certificate thanking them for their contribution and five schools with the most creative ‘can creation’ can choose from a sports or art supply voucher valued at $500. Click here to check out last year's winning entries! It’s time to get creative! 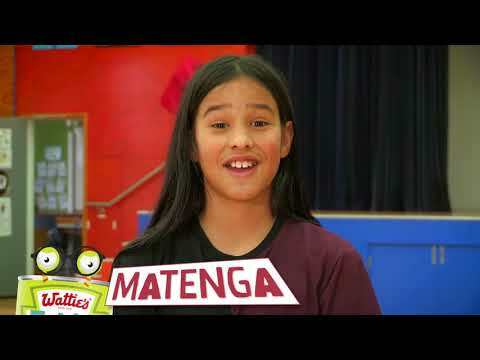 Get your students to put their thinking caps on and show or tell us how they think Wattie’s Spaghetti is made. Then pick your top 5 and upload these onto our Facebook event page! We'll pick the most creative entry from each category: Kindergarten, Primary/Intermediate and Secondary School. The overall winner will receive a Wattie’s lunch shout for their school! It is easy to participate – register your school here and we will send you all the resources you need to get involved including posters, a video to play at your assembly or share with your parent community, digital assets to help promote your event online, teaching resources and the terms and conditions for the competition. When you register make sure you tell us the day and time you’ll be creating your can artwork and whether you are happy for us to inform the media about your activities. We hope hundreds of schools from around the country will once again sign up to be part of Wattie’s Cans for Good. Every school that gets involved will help make a difference to vulnerable families and individuals in their community who need food assistance to deal with New Zealand’s rapidly rising living costs. Last year The Salvation Army provided nearly 60,000 food parcels to help Kiwis in need get back on their feet. Sign up today to collect, create, educate and donate and make a difference in your community. If you have any questions or would like more information, visit our FAQ page or email us or call us on 0800 653 050.